In this section, browser support for each tag is noted to the right of the tag name.Browsers that do not support the tag are grayed out. Tag usage is indicated below the tag name. Start and end tags are required unless otherwise noted. "Deprecated" means that the tag or attribute is currently supported but is due to be phased out of the HTML specification and is discouraged from use (usually in favor of similar style sheet controls). The attributes listed for each tag reflect those in common use. Defines an anchor within the document. An anchor is used to link to another document orweb resource. It can also serve to label a fragment within a document (also called a named anchor), which serves as a destination anchor for linking to a specific point in an HTML document. The attributes labeled "HTML 4.01" are new to the HTML 4.01 specification and aregenerally supported only by Internet Explorer 5.5 and higher and Netscape 6. HTML 4.01. Assigns an access key (shortcut key command) to the link. Accesskeys are also used for form fields. The value is a single character. Users may access the element by hitting Alt-key (PC) or Ctrl-key (Mac). HTML 4.01. Specifies the character encoding of the target document. HTML 4.01. Specifies the x,y coordinates for a clickable area in an imagemap. HTML 4.0 proposes that client-side imagemaps be replaced by an <object> tag containing the image and a set of anchor tags defining the "hot" areas (with shapes and coordinate attributes). This system has not yet been implemented by browsers. 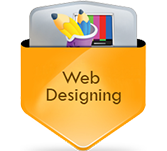 Specifies the URL of the destination HTML document or web resource (such as an image, audio, PDF, or other media file). Gives the link a unique name (similar to the name attribute) so it can be referenced from a link, script, or style sheet. It is more versatile than name, but it is not as universally supported. HTML 4.01. Specifies the base language of the target document. Places a fragment identifier within an HTML document. Establishes a relationship between the current document and the target document. Common relationships include stylesheet, next, prev, copyright, index, and glossary. Specifies the relationship from the target back to the source (the opposite of the rev attribute). HTML 4.01. Defines the shape of a clickable area in an imagemap. This is only used in the <a> tag as part of HTML 4.01's proposal to replace client-side imagemaps with a combination of <object> and <a> tags. This system has not yet been implemented by browsers. HTML 4.01. Specifies the position of the current element in the tabbing order for the current document. The value must be between 0 and 32767. It is used for tabbing through the links on a page (or fields in a form). Not supported by WebTV or Internet Explorer 2.0 and earlier. Specifies the name of the window or frame in which the target document should be displayed. Specifies a title for the target document. May be displayed as a "tool tip." Specifies the content type (MIME type) of the defined content. The area tag is used within the <map> tag of a client-side imagemap to define a specific "hot" (clickable) area. Required. Specifies a short description of the image that is displayed when the image file is not available. Specifies a list of comma-separated pixel coordinates that define a "hot" area of an imagemap. Specifies the URL of the document or file that is accessed by clicking on the defined area. Defines a "mouse-sensitive" area in an imagemap for which there is no action when the user clicks in the area. Specifies the base pathname for all relative URLs in the document. Place this element within the <head> of the document. Required. Specifies the URL to be used. Defines a relationship between the current document and another document. This taggoes within the <head> portion of the document. It is often used to refer to an external style sheet. Identifies the target medium for the linked document so an alternate style sheet can be accessed. Describes the relationship from the current source document to the target. Common relationship types include stylesheet, next, prev, copyright, index, and glossary. Specifies the relationship of the target document back to the source (the opposite of the rel attribute). Provides a title for the target document. Shows the type of an outside link. The value text/css indicates that the linked document is an external cascading style sheet. Encloses client-side imagemap specifications. Client-side imagemaps are discussed later in this chapter. Gives the imagemap a name that is then referenced within the <img> tag. This attribute is required.